We've developed and refined a process that puts all the pieces together as your life unfolds and your needs evolve. Discover - You are unique. The first (and perpetual) step is to learn your story - what's important to you and why it matters. We'll learn where you are, how you got there and where you want to go. Although thorough, our conversation feels relaxed, not like an interrogation. Design - Behind the scenes, We'll perform all the analysis and research. You'll receive a custom plan in plain English to simplify and organize your financial life and accomplish your goals. 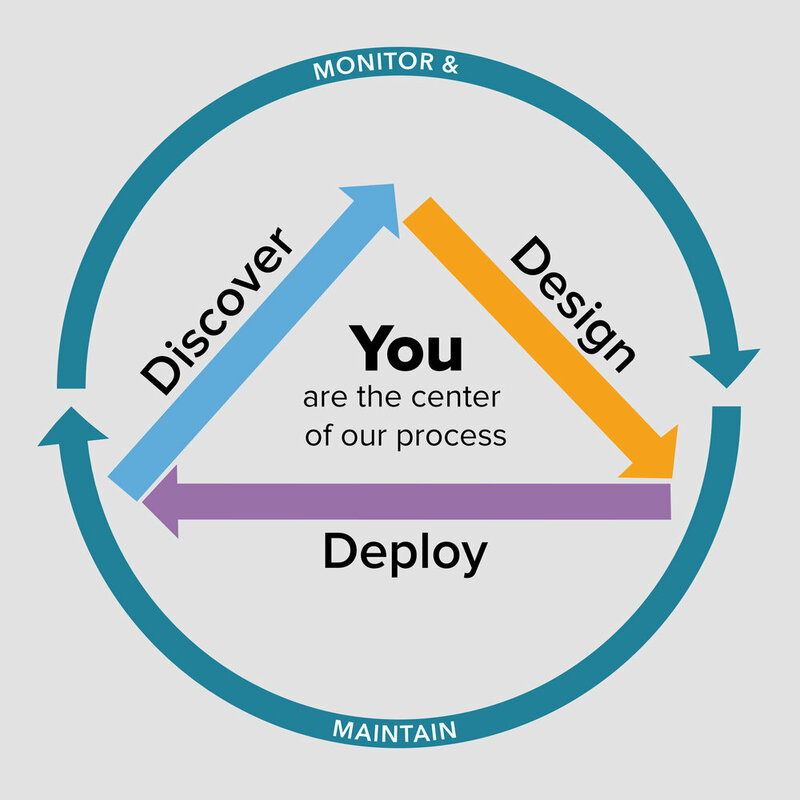 Deploy - Once we have mutual understanding and agreement, We'll implement everything for you. We'll take care of all the details while you focus on enjoying life. This is where most people get tripped up or never finish. Monitor & Maintain - This final and ongoing step ensures your actions stay aligned with your values and your goals. Think of this as a secure perimeter around your financial life. As your circumstances change and your needs evolve, we get out in front of it. A financial plan by itself isn't worth much—it's the process of planning, mutual understanding of your vision and values, precise implementation and disciplined oversight that delivers value.